The academic program at Friends Christian Elementary School provides a solid foundation in core subjects as well as the opportunity for students to explore areas of their own interests or gifts. Reading, writing, and arithmetic—the foundational pieces for a solid educational experience are laid in the elementary grades. At FCS, students master these basics, and experience so much more! Our teachers bring a love for the Lord and a passion for teaching, and it shows in the classroom. Weekly chapel services in our Friends Church Yorba Linda Worship Center. State of the art facilities including a Computer Lab, Library, and Media Center. Special events and programs including LEGO Robotics, Meet the Masters, S.C.O.R.E. Street Hockey (sponsored by the Anaheim Ducks), and an awesome trip to Sacramento in the fourth grade! 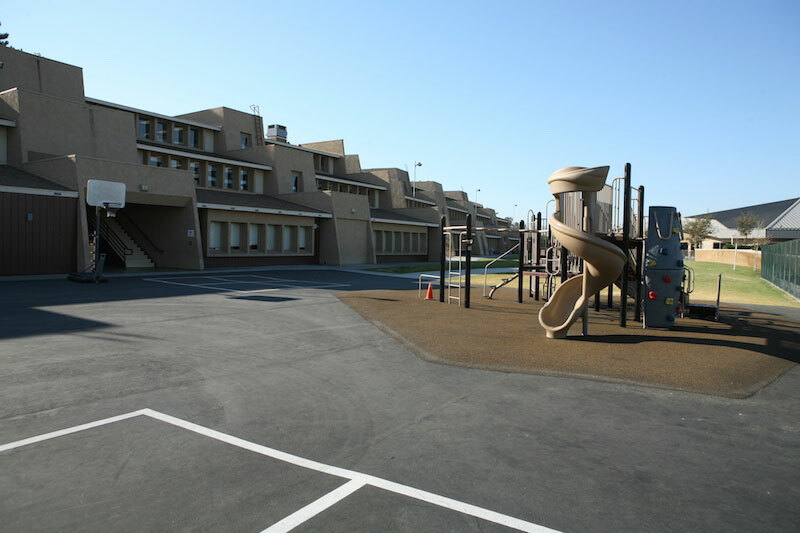 In addition, all elementary students participate in physical education, music, art, and computer classes. In the Friends Christian Elementary Computer Lab students will learn and develop 21st century skills that are needed in today’s educational environment. Computer lab projects are creative, innovative, and integrate grade level curriculum. Activities include word processing, PowerPoint presentations, internet research, Google Docs, courses for basic code, and keyboarding. Students are encouraged to be independent and confident on the computer by using critical thinking skills to make informed decisions. Physical education classes emphasize healthy living through exercise and participation in team activities such as hockey, soccer, football, basketball, volleyball, running and more! Students are encouraged to express their creativity through visual arts projects across the content areas in kindergarten through fourth grade. Formal art instruction begins on the elementary campus through the Meet the Masters art program. The students learn about a different artist each month during an assembly. The week following the assembly, students participate in an art lesson taught by parent volunteers who have been trained byMeet the Masters. The lessons utilize a variety of media and provide the opportunity for students to create an art piece in a similar genre as the artist they studied. Activities in the performing arts are integrated throughout the elementary program. Students in kindergarten through grade four attend music class weekly to learn basic music theory and experience instrumental and vocal music through listening, singing, and the use of basic rhythm and percussion instruments. All of the students participate in a Christmas program that includes music and opportunities for drama and recitation. The third and fourth grade students can be a part of a choir that practices after school, performs at various venues throughout the year, and presents a musical in the spring.